Created by hand by experienced Italian designers, the Daytona Dante dresser combines classic craftmanship contemporary style. The Daytona Dante Dresser is a luxurious piece of furniture with exquisite design details. The curved spherical structure has six drawers housed on soft metal runners. Pure burnished brass handles embellish the fabric lined drawers. 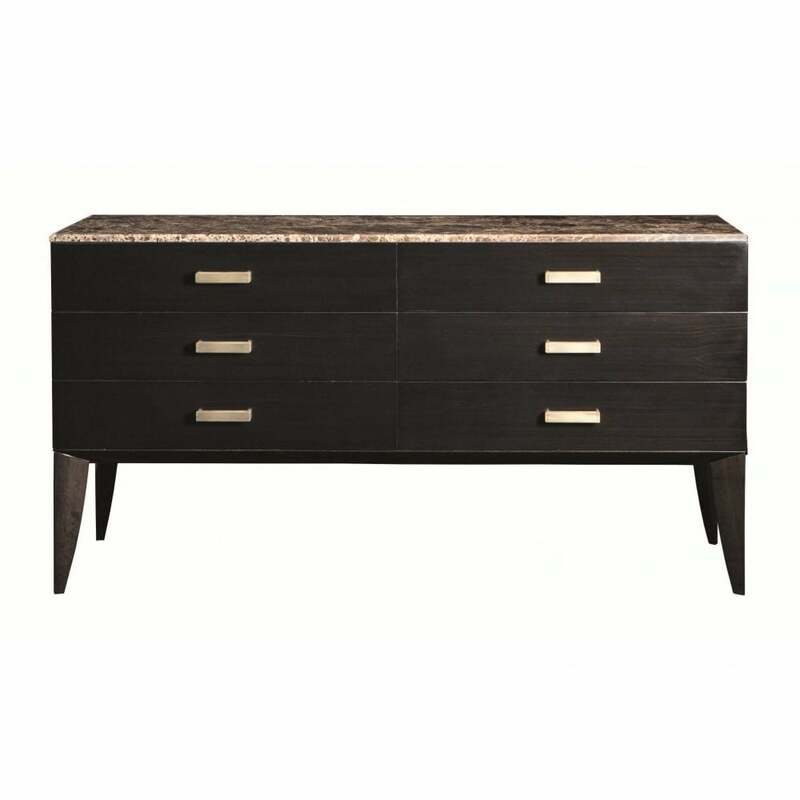 The Dante Dresser can be finished with precious marbles or in the same wood structure, available in myrtle, dark walnut, ebony or lacquered finishes. Contact us for your choice of options.